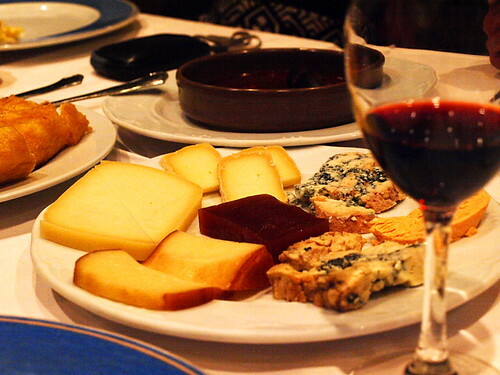 Cuisine and nightlife in Oviedo in Asturias tend to reflect the character of the city – hearty, lively and generous…very, very generous. 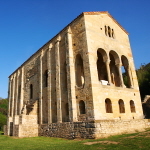 As tourism is mainly of the Spanish variety, there are no tourist traps as such, just plenty of honest, down to earth eateries and sidrerías (cider bars) in which to kick back and let the hospitality of Oviedo embrace you. You’d never stumble across this place in a month of Sundays as it’s located in an industrial estate. It looks like nothing from the outside but step through the doors and you enter a wonderland of Asturian cooking. 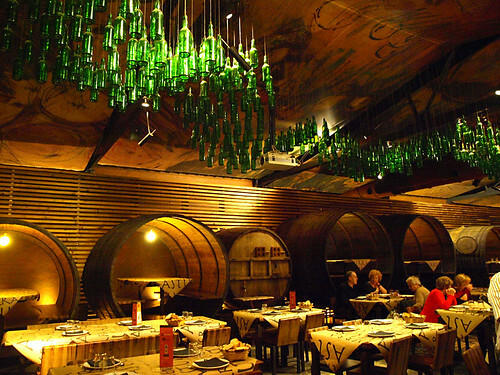 Hams and chorizos hang from the ceiling as do empty cider bottles, artistically. A long counter overflows with fresh produce whilst behind chefs roast huge fillets on grills that blast out such heat that wearing swimwear for dinner would seem more appropriate dress. The real ‘buzz’ factor are the tables inside gigantic barrels. A popular combo here is to have a fabada starter followed by a mixed grill. It is admittedly wonderful but be warned, the fabada starter alone would be enough to fill most mortals and the mixed grill is a veritable mountain of meat – an empty stomach, lots of stamina and crampons are recommended to get to the top of it. 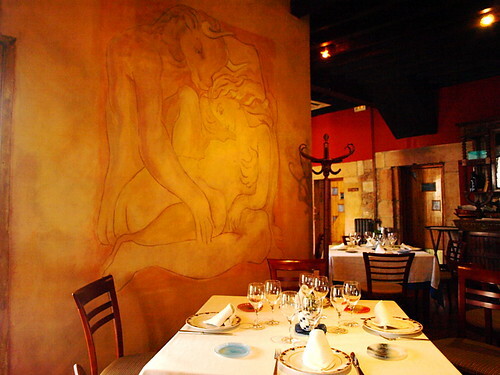 Anyone looking for a romantic restaurant in Oviedo need look no further than this 18th century townhouse. 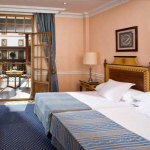 The décor manages to successfully combine art and antiquities to make dining here warmly intimate. Not only did Woody Allen set a scene from Vicky Cristina Barcelona here (a mural painted for the movie has been left on the wall) but Princess Letizia treated Prince Felipe to a meal here when they were dating. The meat dishes, unsurprisingly, are good, especially the ribs and there are some imaginative monk-fish dishes. Right in the heart of the cider bar district, La Pumarada offers two Oviedo experiences for the price of one. Downstairs is the restaurant and up a lively…bordering on rumbustious cider bar complete with progressively sticky floor. Stick to the restaurant downstairs till a generous amount of wine and cider helps with the acclimatisation process and try one of the tapas menus. The tortilla is as fluffy as I’ve experienced anywhere, the chorizos in cider are divine and the selection of Asturian cheeses converted me into developing a taste for blue cheese…and that’s no mean feat. 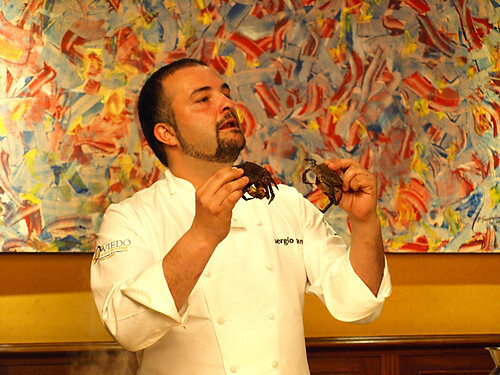 The showcase restaurant of talented chef Sergío Rama is for foodies who like to try traditional local ingredients that have been given an imaginative makeover. When I was there the menu included a delicate crab soup, a savoury dish of chickpeas and cod and the winning marriage of hake, cider and sea urchins. 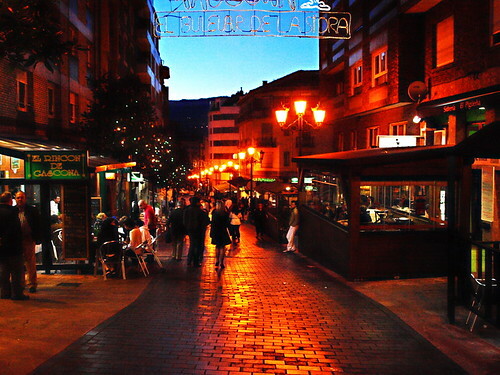 There are plenty of good bars to choose from in Oviedo but to experience the nightlife in full flow head into Gascona known as El Bulevar de la Sidra. The street is packed with cider bars and buzzes from early evening until late. It’s surprisingly boisterous in a friendly sort of way, presumably due to the whole ‘necking the glass of cider in one gulp’ tradition, and is great fun, especially if you literally get into the flow. One of the best nights to go is Thursday which has traditionally been a bit of a party night due to the fact that workers used to get paid on that day. 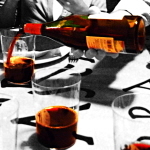 If you want to blend in like a local don’t forget to read our guide to the art of cider drinking in Asturias. Buzz Trips was a guest of the Asturias Tourism Board when visiting the establishments above. However, the views are entirely my own.